Clean out the gutters with your feet firmly planted on the ground! 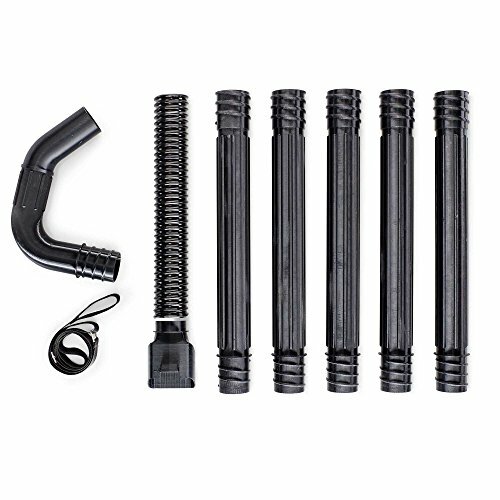 The Toro Gutter Cleaning Kit reaches farther than the competition and allows you to reach gutters on one-story homes and uneven landscapes. Designed to maximize airflow through the entire tube and direct debris forward. With 5 extension tubes, you can also adjust the length to work in hard to reach places. Fits most Toro Blower/Vacs, including model numbers 51574, 51592, 51599, 51602, 51609, 51617, 51618, 51619, 51621 and 51690.